On this website you can find useful information about Hang Nadim International Airport: Arrivals, Departures, Terminal information, Parking, Car rental, Transport, Accommodation, Amenities and Services, among other information. Plan your travel to BTH Airport with the information provided in this site. Hang Nadim International Airport (IATA: BTH, ICAO: WIDD) is the main international gateway of Batam, located in the Riau Islands, in Indonesia. 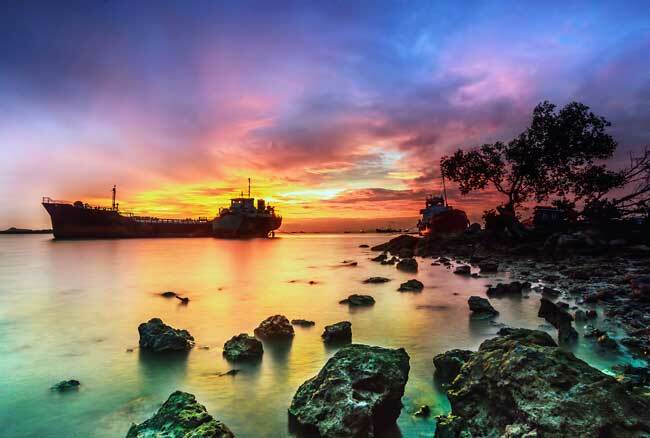 It is located at 22 kilometers from Batam downtown. The airport was originally build in order to host aircraft Singapore Changi Airport in case of an emergency. Batam Airport counts with the longest runway in Indonesia, being also the second in Southeast Asia. Batam is the main city of the Batam Island. Batam is famous for its ship repair industry. About the name: Batam Airport is named after Laksaman Hang Nadim, who was a Malay warrior. Batam Airport had the longest runway in Indonesia. Batam Airport handled over 4,772,000 passengers in 2014. Batam Airport consist of a single passenger terminal, hosting both international and domestic services. There is a second terminal under construction, which is expected to be finished in the following years. On the other hand, the main terminal will be also expanded to double its passenger capacity. Food, drink and retail shops. Phone: +62 077 876 1507. Bus: Bus services are limited at Batam Airport. See the bus section for further information. Taxi: Get to Batam downtown within 25 minutes by taxi. Car rental: By car is without a doubt a nice way to see by yourself Riau Islands and its capital Batam. Major international companies are at your disposal at the ground transportation centre. Just remind you you can also book your car through our search engine! Batam is the main city of the Riau Islands, located immediately 20 kilometres south of Singapore, separated by the Straits of Singapore. Riau Islands are formed by 4 major islands (Batam, Galang, Rempang and Bulan) and 3 minor islands (Galang-baru, Abang-besar and Kapalajernih). It has a similar status like China’s Special Economic Zones due to the presence of electronic factories, ship repair industry and oil industries. Batam hosts some resorts like Waterfront City and Nongsapura, while the business, commercial and nightlife is performed in the Nagoya district. 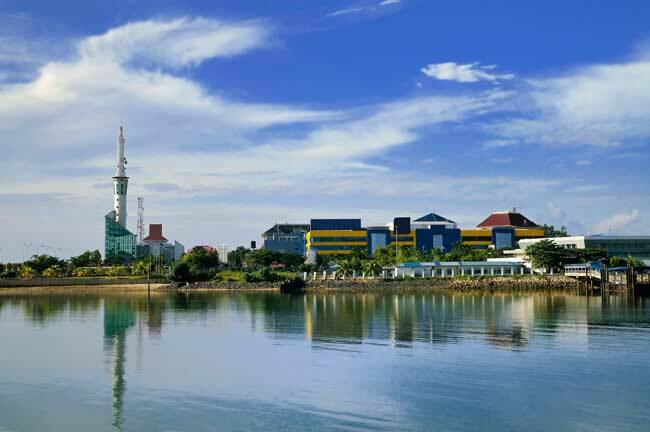 Regarding the interesting sights, you shouldn’t miss in Batam, highlights the Great Mosque of Batam, the Batam Centre and the surrounding islands of Batam, which are also worth to see.